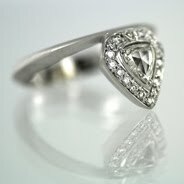 Vicente Agor Precious Jewelry: art 40 basel and patronage. Once in awhile, the idea of going to an art gallery or exhibition sounds totally pretentious to me. And then I go and I think to myself, what was I thinking? Invariably I enjoy myself immensely. Sometimes I like the art and sometimes I don't, but I can always appreciate the work and the effort of the artist. Although Art 40 Basel finished on Saturday in Switzerland, much is still being written about the annual international art fair, especially given the economic viability of some artists. Included in the discussion is Brad Pitt’s anointment as a patron (saint) of the arts. Patronage seems to be the buzzword these days. A concept that is not only being reserved for artists – umm...Mr. Pitt, at Vicente Agor we are open to all your bespoke requests and commissions - but now it is a concept that is being tossed around for different industries. In this case, patronage is being applied to the business of the media, which is experiencing its own gyrations of change. Click here to listen to the visionary idea of the age of media patronage from author and professor, Clay Shirky. Patronage of artists and for the media; perhaps an idea applicable for two different industries during times of great change. 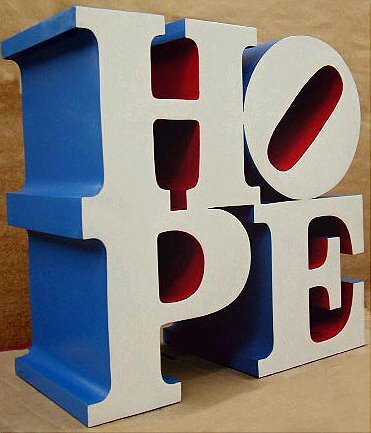 To see the work of the incomparable Robert Indiana at the Galerie Thomas click here.